The ENRD CP was invited to participate in this event by the Undersecretary of State of the Ministry of Agriculture and Rural Development, Tadeusz Nalewajk. 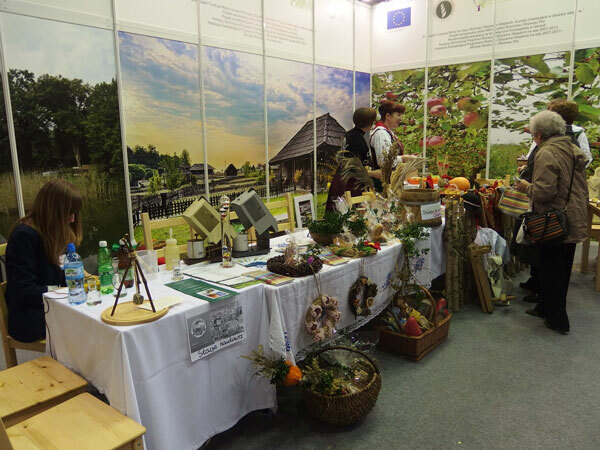 The AGROTRAVEL fair is the most important specialised fair of Poland, presenting rural tourism’s activities and products from all over Europe. It is a meeting place for all people interested in the development of rural areas. 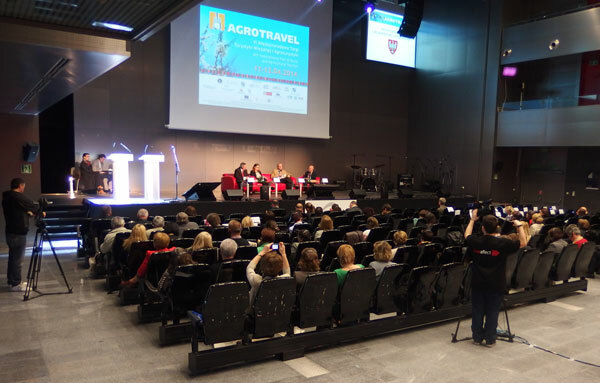 The AGROTRAVEL fair is followed by an international conference on rural tourism, raising public awareness of the opportunities that this sector offers. This year, the title of the conference was ‘Rural Tourism without Boundaries’ and Ukraine was the official foreign partner of the event. The conference was officially opened by the Undersecretary of State of the Ministry of Sport and Tourism, Katarzyna Sobierajska, and the Undersecretary of State of the Ministry of Agriculture and Rural Development, Tadeusz Nalewajk. The conference was divided into 3 sessions, of which the main objective was to summarize the activities realized during the 2007-2013 programming period and present their results. Furthermore, the new EU funding opportunities and, in particular, these related to rural tourism, were discussed and best practices experiences were also showcased. The conference’s main speakers came from Poland and the Polish Ministry of Agriculture and Rural Development, but also from Malta, Germany, Latvia, Ukraine and Italy. 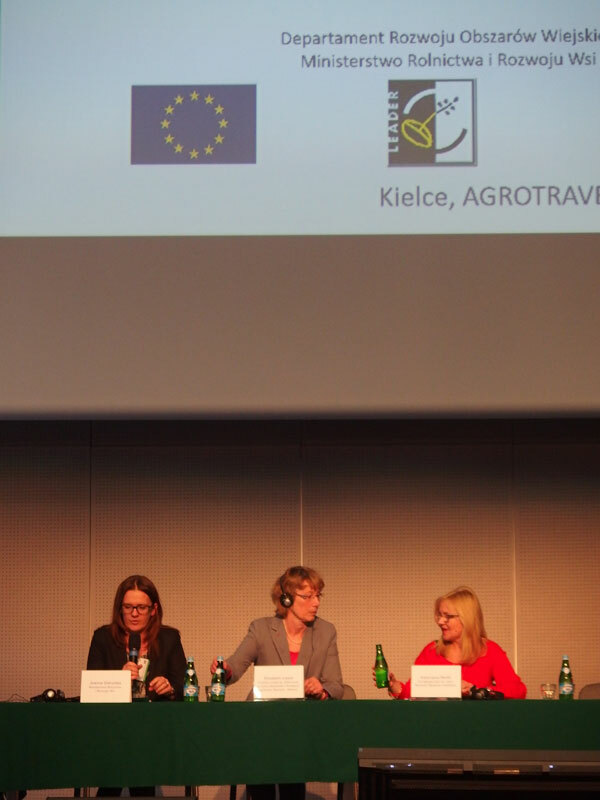 Participated in the conference: Roderick Galdes, Secretary of State for Agriculture, Fisheries and Animal Rights of the Ministry of Environment and Sustainable Framework on Climate Change, Malta; Elisabeth Loock, National Office of Agriculture, Institute of Economics and Agricultural Structures, Germany; Natalia Soleiko, Council of the District Winnicki, Ukraine; Asnate Ziemele, Association of Rural Tourism "Holidays in the Countryside", Latvia. In addition to the conference, a series of workshops and discussions were also conducted. The thematic topics addressed current issues facing rural tourism, such as the renewable energy sources in agro-tourism and the small manufacturing opportunity for the development of tourism in municipality. 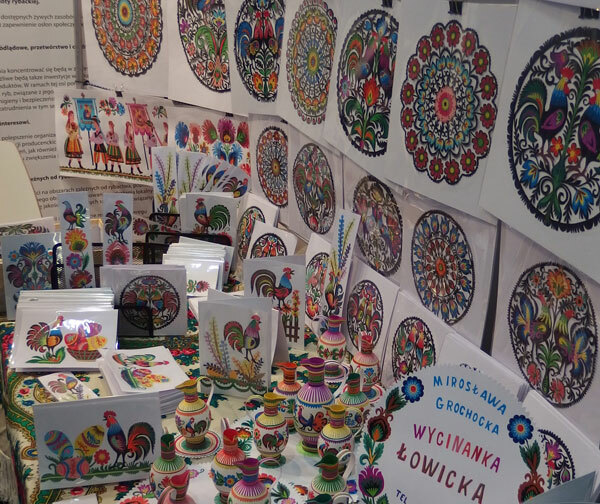 Bringing together more than 140 companies on a surface area of 2 000 m2, the three-day fair attracted more than 20 000 visitors celebrating the culinary and cultural heritage of different regions, including Poland, Ukraine, Slovakia and Lithuania. The objective of the event was to highlight the role of rural tourism, including agro-tourism, in the day-to-day lives of rural inhabitants and how it contributes to local economies by creating new job opportunities and fostering more creativity and competitiveness. The ‘Rural Tourism without Borders’ conference gathered approximately 400 participants from all over Europe. During the first part of the session, a discussion was held, summing-up the development of the agro-tourism sector in the last 10 years in the so-called ‘new’ countries of the European Union. In the light of past experiences, participants learned useful tools and guidelines to better develop and implement agro-tourism activities during the 2014-2020 programming period. “We have one of the highest shares of people living and working in the countryside in Europe. While in old Member States, it sometimes reaches no more than 5%, in Poland the above amounts to 20%. Diversification of agricultural activity, in which agro-tourism dominates, will remain supported in the new financial perspective for the EU,” said the Polish Vice-Minister T. Nalewajk. The ENRD’s participation in this event was relevant as it helps gather information related to the development of local projects, transnational cooperation projects and rural tourism activities. At the same time, participants collected new ideas for cooperation projects based on the successful TNC project examples on rural tourism presented by the ENRD CP representative during the conference.